Instantly recognisable the brand leading 110v electric hoist, also available as either 230v 1ph and 400v 3Ph. All options are held in stock in UK, ready for immediate despatch. The CM range of lodestar electric chain hoist units are manufactured in the USA, with final assembly being carried out in Chester, United Kingdom. This complete range of electric hoists are then load tested to the rated capacities + 125% proof load prior to shipment. With long lifting heights available, this makes the lodestar 110v electric hoist an ideal solution for many appications. Ideal for the construction industry were 110v portable equipment is required. 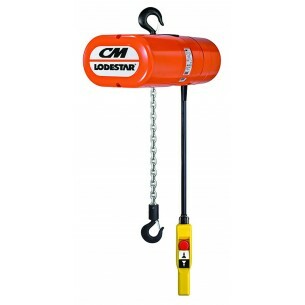 The cm lodestar electric chain hoist features a quieter operation, heavy duty rugged design, long lifting heights, higher duty 50% motor duty cycles and enhanced safety features. The Lodestar 110v Electric Chain Hoists allow you to enjoy the benefits of a superior chain hoist design. Heavy Duty DC Brake is designed for a long service life. Lifetime grease-lubricated Gear Box, means no oil change out is required. Clutch located outside the Gear Box, allows for easy access which eliminates the need for complete disassembly and reduces downtime. Lifetime lubricated Gear Box and helical gearing ensures efficient operation. Clutch is located outside the load path. This prevents slipping of the load in an overload condition when brake is not powered. 5-Pocket Lift Wheel provides better chain and lift wheel engagement. This provides a smoother lifting and reduced vibration which equates to less wear and a longer chain life. Zinc plating to protect the hoist load chain from environmental conditions. Hoist and Winch are able to offer the CM lodestar hoist with very competitive prices due to our buying discounts with major manufacturers. We offer the largest discounts to our customers to help reduce their costs. 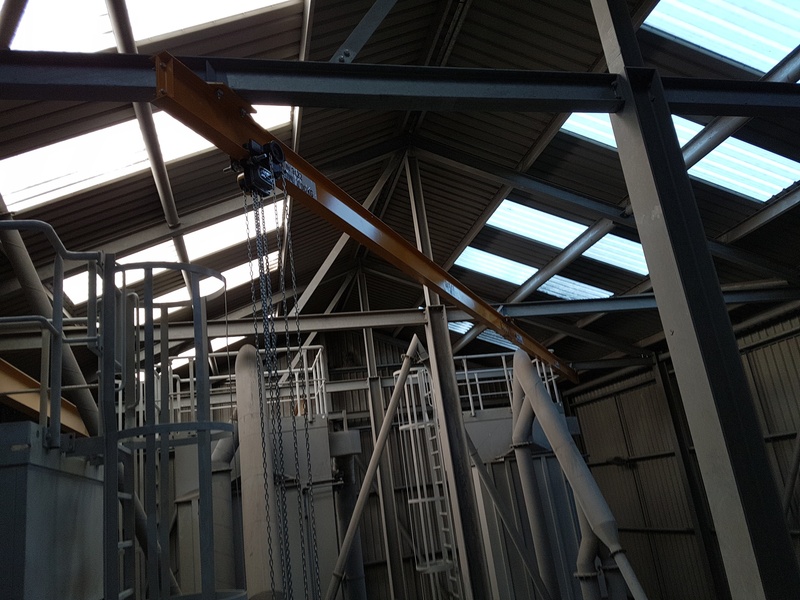 If you are looking for a professional company with many years experience of all kinds of lifting & handling applications then look no further than HOIST & WINCH. We pride ourselves on the knowledge of our industry, the quality of our service and our flexible approach all designed to achieve the highest levels of customer satisfaction. Thank you! A member of our team will contact you with a quote.